Over 30 years’ experience in the property sector in the UK and mainland Europe. 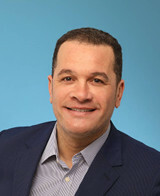 CEO of Vail Williams from 1999 to 2015 (Top 30 real estate consultancy business in the UK). Experienced in delivering property solutions through strategic asset management services. Respected business mentor to many professionals. Over a decade advising clients in Property Investment, Financing and Structuring. Direct personal experience investing in Property, Property Development and Property Management. You voluntarily choose to provide personal details to us via this website, personal information will be treated confidential by us and held in accordance with the Data Protection Act 1998. You agree that we may contact you using this information. Express Consent Declaratio: by Submitting this information you have given your agreement to receive verbal contact from us to discuss your property & mortgage requirements.